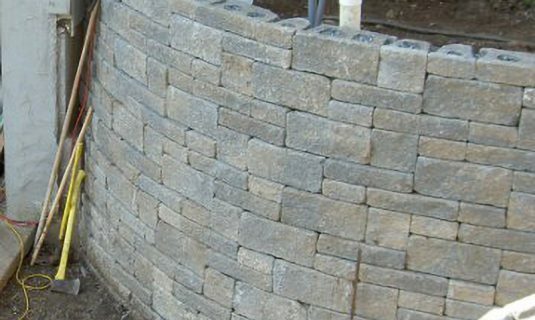 Typical retaining walls fall under the gravity wall category, which rely on the vertical self weight of the retained soil to resist the overturning effect of the lateral soil pressure acting on the wall. 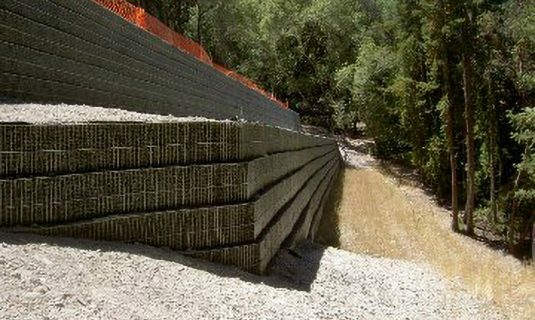 For smaller retained heights these retaining walls use a concrete footing to distribute the bearing load to soil. Larger retained height walls require piles to transfer the load from the footing to a competent soil strata.